Photos of 13-year-old Rosemarie Coover by Richard Avedon for LIFE, 1951. Fashion photographer Richard Avedon first saw 13-year-old Rosemarie Coover as he was getting out of a cab in front of a New York restaurant. She was dressed in blue jeans and a boy's undershirt like a thousand other East Side urchins, and, hopeful of a tip, was holding open the door of Avedon's cab. For this favor the photographer gave her a quarter and a perfunctory glance. The glance did it; his trained eye swept past her stringy, ash-blond hair and her gawky, stoop-shouldered frame. "All I saw," says Avedon, "was those wonderful facial bones." 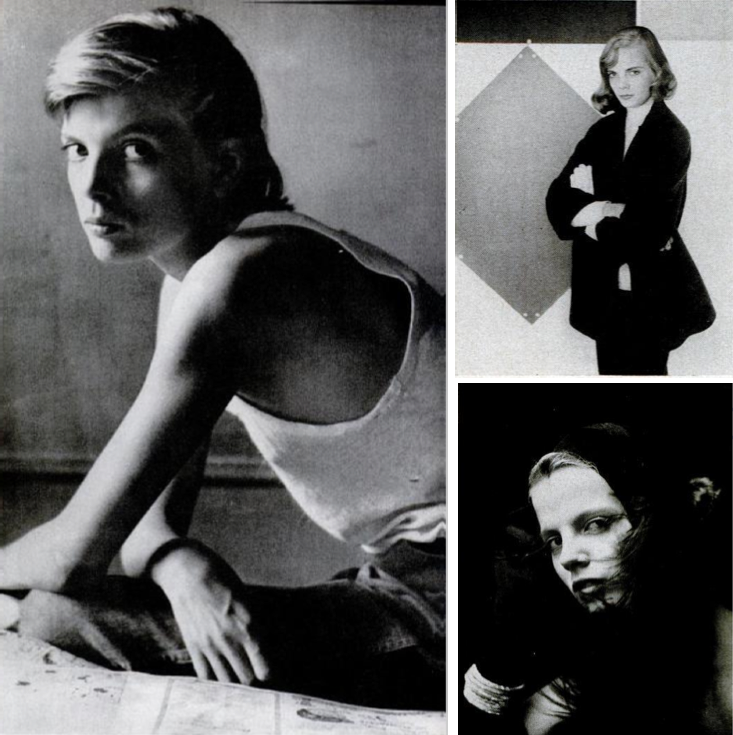 After negotiating with Rosemarie and Mama Coover about modeling fees, Avedon took the child and her wonderful bones to his studio where he first photographed her in a high-fashion glamour pose. Then he took her to her tenement flat and photographed her in the blue jeans and undershirt. He showed his results to Jerry Ford of the Ford Model Agency who was so impressed that he immediately signed Rosemarie up. —LIFE Magazine August 27, 1951. I know, totally agree. The photo on the left is also is styled (not purposely most probably) in a way that feels so much later than 1951, that part is really shocking to me as well. Whatever happened to her? I read about her Life cover story in 1951, but haven't found anything further than that. I couldn't find much else either, I'm so curious. Wow, this is amazing. So ahead of its time. Before Twiggy! amazing photos. i'm intrigued as well. Alive and well. Had a succesful 25 year modeling career.